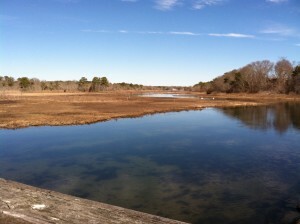 Parker’s River in Yarmouth, Massachusetts taken from the fishing dock. Parker River Press is the publishing imprint for Terri Kennedy, Author. Established in 2016, Parker River Press publishes digital books on all major platforms, including Kindle, Nook, Kobo, and iBooks. Print books are sold on Amazon. Okay, so technically it should be Parker’s River Press because it’s named after Parker’s River in Yarmouth, Massachusetts, but I purposely dropped the S because it’s problematic: sometimes it’s written as a possessive, Parker’s, other times as plural, Parkers. And I suppose there’s even the possibility of possessive plural: Parkers’ though that should really be Parkers’s. But, you see my point. Besides, it just doesn’t sound as good with the S. It doesn’t roll off the tongue quite so smoothly as Parker River Press does. And since there is an actual Parker River in Massachusetts, it’s all good. Parker River is a national wildlife refuge. How cool is that.